Leading Manufacturer of fluid bed dryer, vacuum tray dryer, vibro sifter, octagonal blender, conta blender and coating pan from Palghar. Our company is engaged in manufacturing a wide variety of Fluid Bed Dryer that are made in compliance with industry requirements. 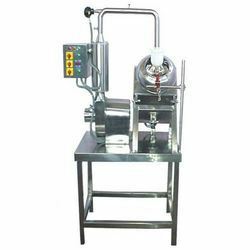 Our range of products include Mini Multi Mills, Blenders, V Cone Blenders, Vibro sifter-Lab Model, Conventional Coating Lab Model, FBD-Lab Model and Rapid Mixer Granulator. Playing an active role in Pharmaceutical Industry, these machines are highly acknowledged for high-speed, superior performance and efficiency. The Product laden trays are placed on the heating shelves provided in the chamber. Ensuring closure of the door, nitrogen purging is done for faster evacuation of air.Hot water / Steam is supplied into the shelves and the chamber is applied with full vacuum. This principle is effective for temperature sensitive products and faster drying. 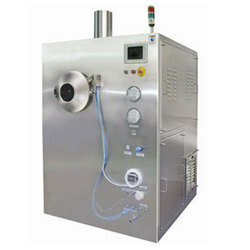 Vacuum drying is ideally suited for Bulk Biotechnology and Pharmaceutical industry for temperature sensitive product and for quick drying applications. Moisture/solvent free content can be achived. Toxic materials can be safely dried in an enclosed vacuum environment and solvent can be safely condensed into the receiver. Our Vibro Sifters are circular gyratory screens, which is necessary to separate solids from solids and liquids from solid. 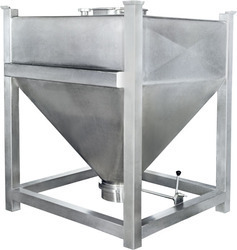 The simple and compact construction of our vibro sifter offers following features. We manufacture Octagonal Blender, which are efficient and versatile blending machine for mixing and lubrication process of dry granules homogeneously. Two third of the volume of the Cone Blender is filled to ensure proper mixing. 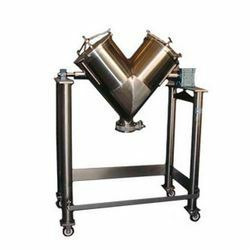 The octagonal blender or pharmaceutical octagonal blender gives best result for granules due to very slow speed and octagon shape of container. 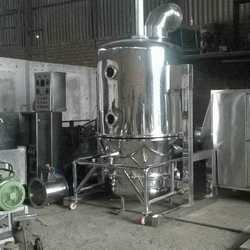 It can be used for Pharmaceutical, Food, Chemical and Cosmetic products etc. In Octagonal Blender the granules comes from all sides due to the octagonal shape of the product container, hence requirement of RPM is less. 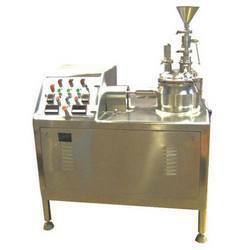 The pharmaceutical octagonal blender is suitable mainly for Crystalline & Granular type material. This type of material gets sufficient continuous movement due to their shape if container have only slow movement and will results in good quality of blending / lubrication of granules. We are engaged in fabricating chemical blenders which is highly appreciated for its tensile strength and simple configuration. 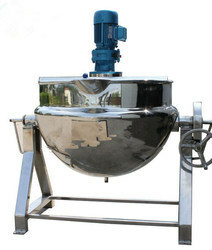 These blenders are extensively used for mixing of the different liquids in the food and chemical industry. 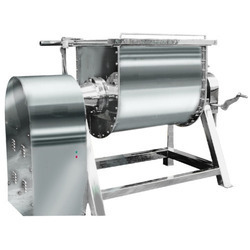 Our blenders are manufactured with stainless steel and mild steel & it has the capacity of up to 10000 litres. Moreover, these can be easily customized in accordance with client requirement and can be delivered on time. 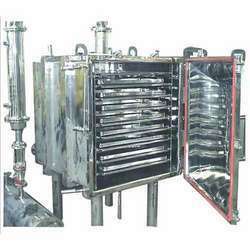 Our range of Coating Pan have very heavy and sturdy structure and are engineered form angles and channels. Covered for all the side these exhibit enhanced durability. The two sides (left & right) of the structure are covered with hinges and three sides are covered with bolts. These pans are manufactured in compliance with prevailing industry standards and are offered at industry leading prices. 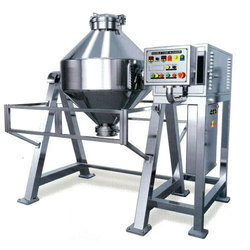 We are on of the renowned manufacturers of Rapid Mixer Granulator (RMG), which finds applications in tablet manufacturing i.e mixing and granulation combined technique by reducing processing time, more homogeneous mixing, uniform granule size and above all maintaining improved hygiene complaint to GMP norms. 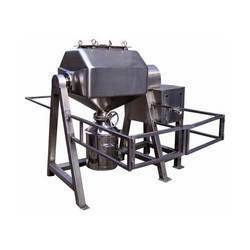 We are committed to offer a quality range of Rapid Mixer Granulator, Vibrating Screen in mild steel, stainless steel construction. The Tray Dryers offered by us are basically enclosed insulated chamber in which trays are placed on top of each other in trolleys. The solid or liquid material to be dried is placed on the trays placed in the dryer. For maximum output and efficiency, these dryers are fitted with high performing components like electric heaters or steam in radiator coils that facilitates heat transfer by circulation of hot air. Further, efficient blower fans are installed in the dryer that ensures proper circulation and transfer of heat. In addition to these components, our range of Tray Dryers is equipped with control panels that controls and monitors the temperature and other parameters. 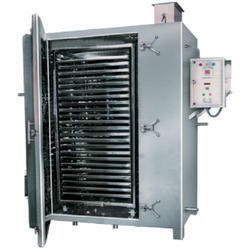 We are committed to offer a quality range of Tray Dryer, Vibrating Screen in mild steel, stainless steel construction. The Tray Dryers offered by us are basically enclosed insulated chamber in which trays are placed on top of each other in trolleys. The solid or liquid material to be dried is placed on the trays placed in the dryer. For maximum output and efficiency, these dryers are fitted with high performing components like electric heaters or steam in radiator coils that facilitates heat transfer by circulation of hot air. Further, efficient blower fans are installed in the dryer that ensures proper circulation and transfer of heat. In addition to these components, our range of Tray Dryers is equipped with control panels that controls and monitors the temperature and other parameters. We offer a wide variety of Conta Blenders, which are immensely used for homogeneous mixing and lubrication of granules or powder in phrama, chemical and other allied industries. Our range of conta blenders provide better performance and work on the principle of dust free transfer of powders or granules at different stages. These conta blenders are fabricated using premium grade raw material and are in compliance with GMP standards. 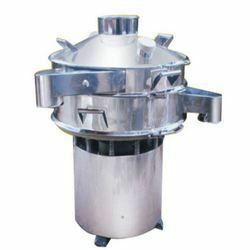 The rotating shell V Cone Blender are used only for dry mixes and have no packing glands(seals) around shafts entering the chamber to cause potential problems. 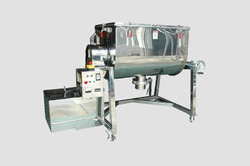 Modifications such as the addition of baffles to increase mixing shear have been made to these type of blenders. We are committed to offer a quality range of Coating Pan, Vibrating Screen in mild steel, stainless steel construction. The Tray Dryers offered by us are basically enclosed insulated chamber in which trays are placed on top of each other in trolleys. The solid or liquid material to be dried is placed on the trays placed in the dryer. For maximum output and efficiency, these dryers are fitted with high performing components like electric heaters or steam in radiator coils that facilitates heat transfer by circulation of hot air. Further, efficient blower fans are installed in the dryer that ensures proper circulation and transfer of heat. In addition to these components, our range of Tray Dryers is equipped with control panels that controls and monitors the temperature and other parameters. Multi Mill is a self contained portable unit useful for high speed Granulating, Pulverizing, Mixing, Shredding and Chopping of a Multi Mill wide range of wet and dry materials without special attachments. Multi Mill operates on the principle of variable force swing, beaters having both knife and impact edges rotating within a selected screen to get the required size reduction. Multi mill is designed to utilize the principle of variable force swing beaters having both knife and impact edges rotating within a selected screen to control the particle reduction, material fed in to the processing chamber moves to the periphery and passes through the screen radically and tangentially. Finally the processed material gets collected into the container kept below the processing chamber. All Blenders are efficient and versatile blending for mixing and lubrication process of dry granules /powder homogeneously for various kinds of products. Two third of the volume of the Blenders is filled to ensure proper mixing. 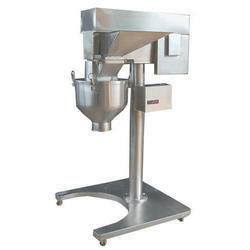 The Blender gives best result for granules due to very slow speed and due to it's shape. it can be used of Pharmaceutical, Food, Chemical and cosmetic products etc. Shape of the blender can be selected by the customer as per requirement and product nature. 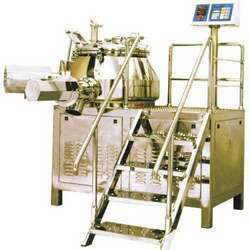 Blending mainly depends on nature of the material loaded, shape and baffles The Shape of the blender and baffles provided ensures uniform and through blending, hence requirement of RPM is less. It is achieved by superior design of the battles that allows uniform and excellent mining, with protective product handling. Hot air is used normally for the evaporation of the sprayed suspention.